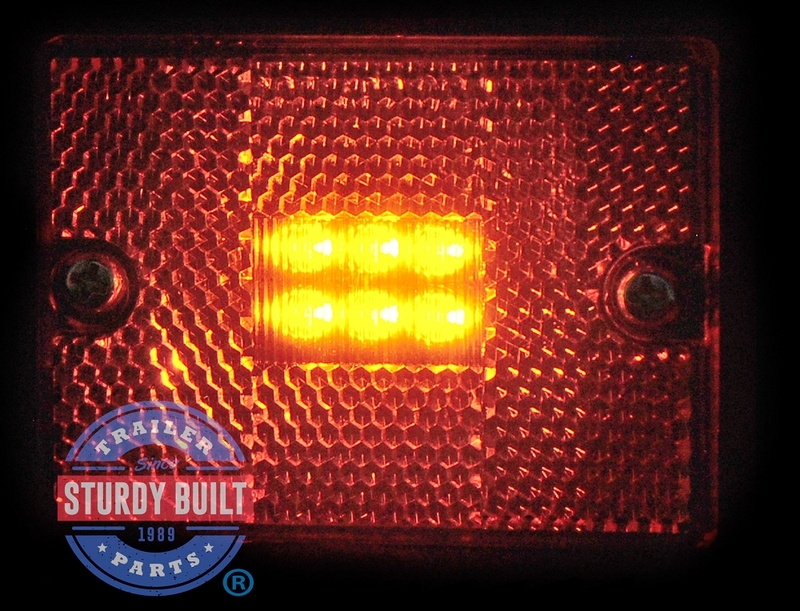 This LED Amber Single Stud Sidemarker Light is perfect for use on your Boat Trailer or Utility Trailer. 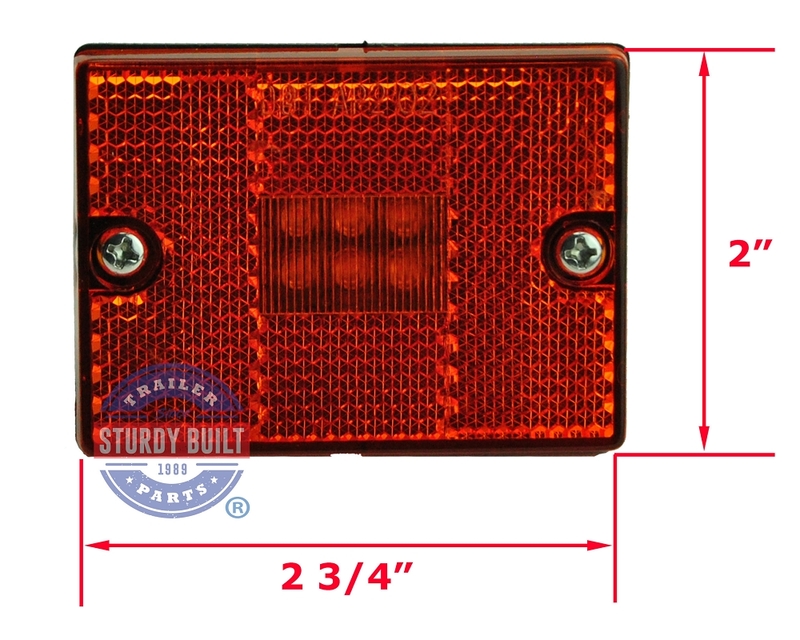 It is a sealed light so it can be submerged on boat trailers in saltwater or freshwater. 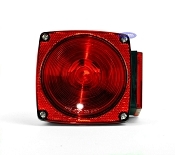 In addition to being a submersible side marker light, the lens is highly reflective. LED lights are a great replacement for standard incandescent bulb lights because they are brighter, last longer, and are less susceptible to shock damage. 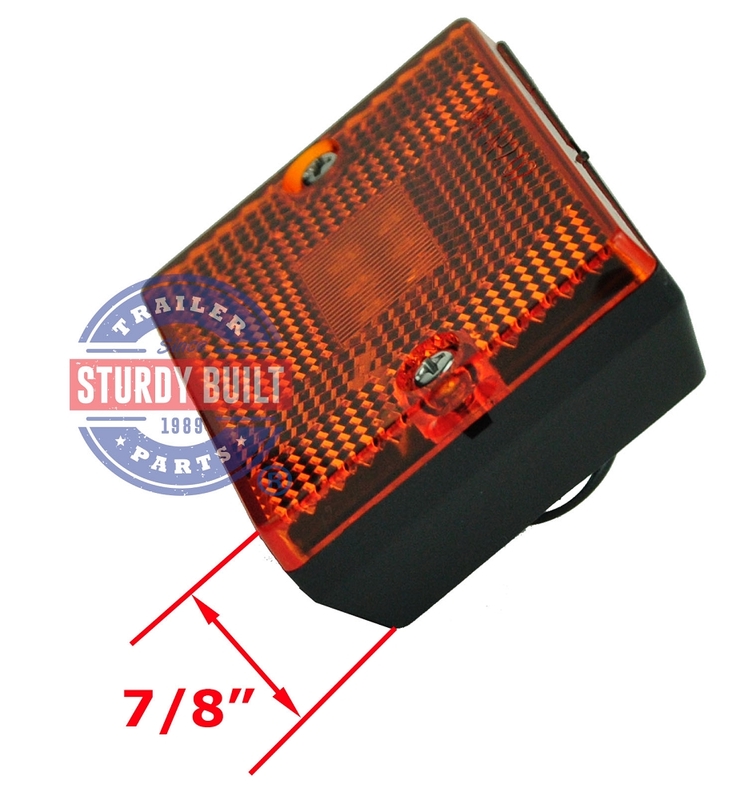 The mounting is as simple as the mounting hardware is built into the back of the light. 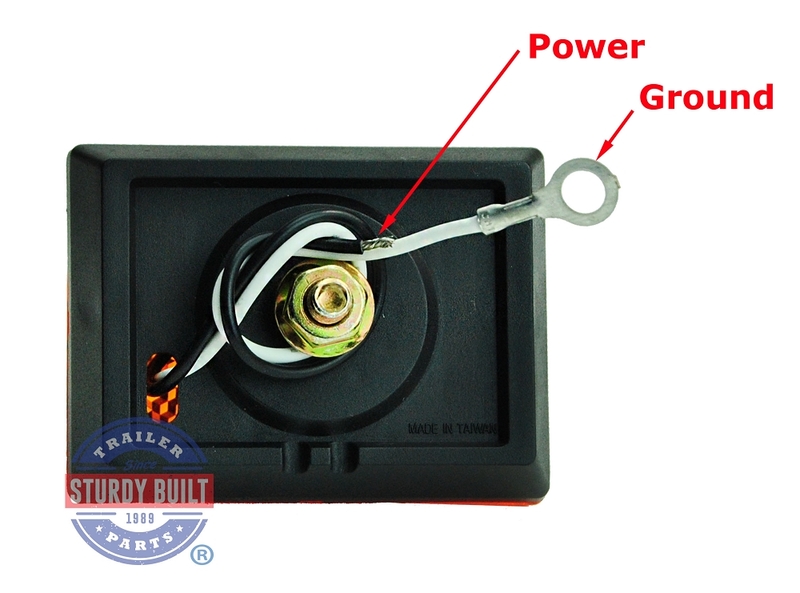 Hook the ground wire around the mounting bolt, connect the power wire to your running light wire and your ready to go. 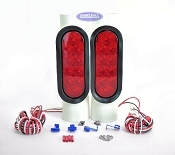 This light is manufactured by Optronics and they offer a Lifetime Warranty on the diodes. 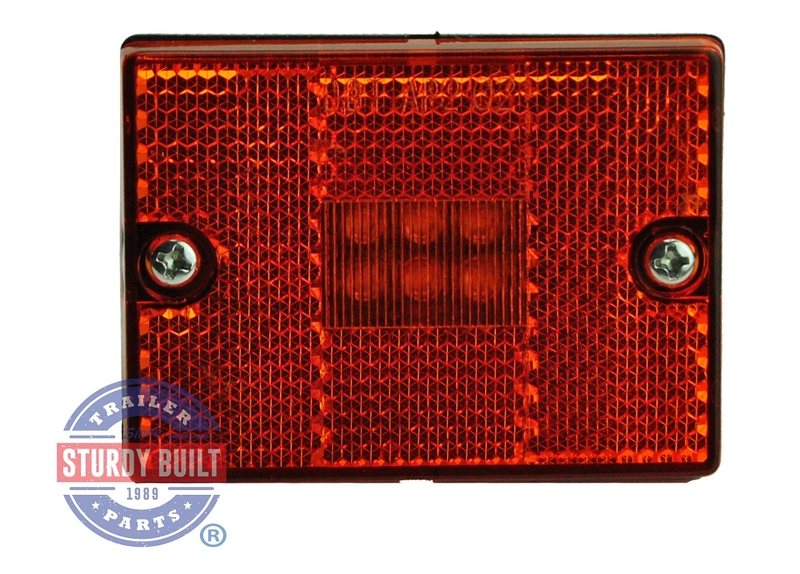 This Amber Side Marker Light is 2 3/4 inches wide by 2 inches Tall. The 2 Wire Pigtail coming out of this Light is 5 inches long, plenty of length to mount to your boat trailers existing wiring.